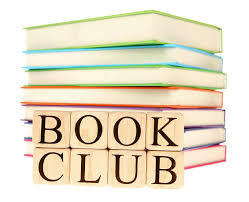 The CUMC Book Club meets the 4th Thursday of each month at 7:00 pm in different member’s homes. The books we will be reading will be in the Vision Newsletter and in the Sunday morning bulletins. The Sunday bulletin will include the name of the person who will be hosting our meeting for that month. The book club is open to all adults. Please come and join us for lively discussions and wonderful fellowship. Please contact Nancy Duiven or the church office for details. Not all Book Club Members must be Church Members.